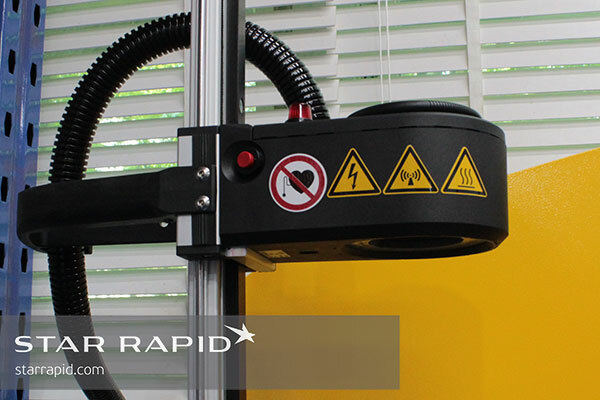 Star Rapid has a growing list of advanced equipment for improving efficiency, shortening lead times and lowering costs. 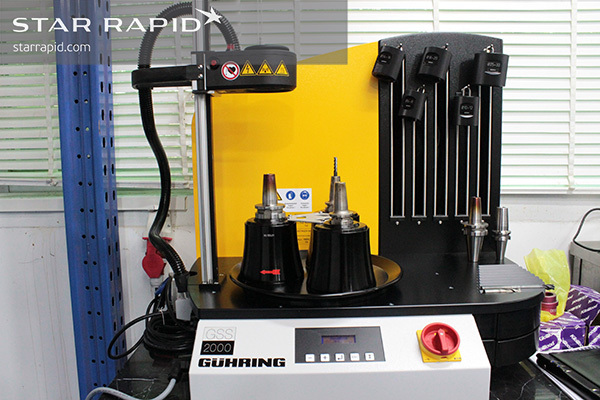 The Gühring GSS 2000 induction shrink fit system is the perfect accompaniment to our multi-axis CNC machining services, making tool changes more rapid, reliable and accurate. 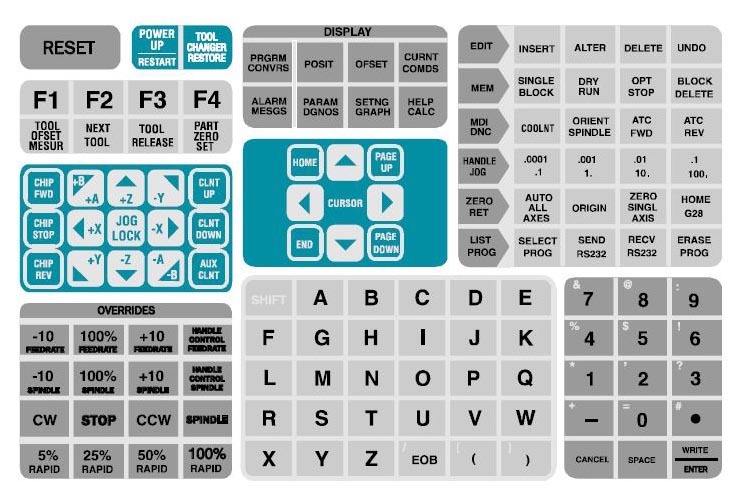 How does an induction shrink fit system work? An induction shrink fit system works by rapidly heating the tool holder using a strong magnetic field. Once heated, the tool holder expands, allowing a cutting tool to be inserted. Once the tool is in place, the holder is then cooled back to room temperature and is ready for use. What is the advantage of such a system? The GSS 2000 works amazingly fast. The tool insert is heated up within a few seconds. After the cutting tool is in place, a water-cooled jacket is then placed over the insert to lower the temperature, which takes an additional 20~30 seconds. And since the tools are on a carousel, several can be prepared at once to decrease downtime. Equally important, this technology ensures that tools are held in place with great rigidity, exactly on-center and to the correct depth. There is no vibration, no chance of the tool coming loose during operation. The process is safe, fast, reliable and repeatable with minimum training time. Just another example of how we are constantly reinvesting to improve our services for you. Want to know more? We’re standing by to give a free quotation on your next rapid prototype or low-volume manufacturing order. Contact us today!